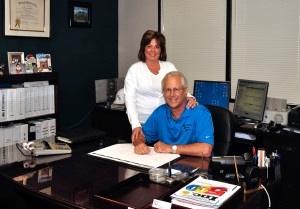 CES Corporate Overview - "Family Owned Since 1992"
CES was founded by Todd and Shelly Morgan on May 26, 1992 with $30,000 in starting capital and three employees. CES’s first project was a $135 tenant finish job. Today, CES presently has over 200 employees. Our projects range from very small tenant finish and service repairs to multimillion-dollar attractions and hospital renovations. CES maintains a solid balance sheet and has favorable liquidity. We enjoy excellent business relationships with our clients, vendors, and service providers. CES’s long-term plan for the future is to continue to grow the company at 20% per year. As in the past, as CES grows we will provide training and apprenticeships and continue to create career opportunities for our employees to advance and grow with CES. “Continuous Aggressive Improvement” of our employees and our work processes is vital to our continued growth and success. Thank you for considering Comprehensive Energy Services, Inc.
CES prides itself on being a "Relationship Based, Performance Driven" Company. The companies that we work with have confidence in our ability to deliver on time and in budget. Our performance creates our repeat business because we foster a partnership environment with our ability to perform all the key elements of projects in house. This capability creates a win-win solution by having the best balance of cost, function, efficiency, maintainability, and delivery for all projects we execute. ``This is our family,'' said Shelly Morgan, who co-owns CES with her husband Todd S. Morgan PE. ``We want to see people succeed.'' Shelly encouraged her husband to start weekly training courses that allow employees to learn new skills. It is that training and development that the Morgans said has helped the company's grow. ``We have had employees come with us because they thought they had a better chance of advancing with the training we offer,'' Todd Morgan said.